PMA 2009 saw the announcement of this lens for the micro-four-thirds system. 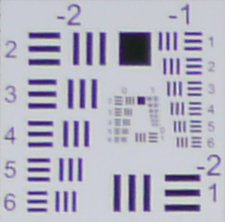 The lens is very small and uses a complex design of 16 elements in 12 groups, with 2 aspherical elements. As the four-thirds system mount produces a 2x ''crop factor,'' the lens produces an effective field of view of 14-28mm when mounted on a Panasonic G1 or GH1. The lens features a constant ƒ/4 aperture and a fixed lens hood; the large protruding front element precludes the use of screw-mounted filters. The 7-14mm ƒ/4 produced very sharp images. At the wider end of its focal length, images are sharp even when used at the lens' widest aperture; between 7-12mm at ƒ/4, the central region of the image is tack-sharp at 1 blur unit, with the corners showing just the slightest hint of softness at around 1.5 blur units. At 14mm there's a slight increase in corner softness as the central region of sharpness shrinks and the corners increase to 2 blur units. Stopping the lens down to ƒ/5.6 produces its best results, with the central region at a consistent 1 blur unit and the corners between 1.5 and 2 blur units. Diffraction limiting seems to set in at ƒ/8, with a marginal increase in softness. Overall performance is still excellent, with the corners not exceeding two blur units. At ƒ/11 performance is still very good, and by ƒ/16 we begin to note a substantial impact on image sharpness as the corners hit 3 blur units and the small central region of sharpness stands at around 1.5-2 blur units. With the lens fully stopped-down at ƒ/22, we note dramatic image softness - around 3 blur units in the center, and upwards of 6 blur units in the corners. If the lens has a fault, it would be the strong presence of chromatic aberration in the corners. CA is well- controlled in the central region of the image, but as is typical of wide- angle lenses, is dramatically evident with purple fringing in areas of high contrast, in the corners of the image. CA is most prominent between 7-11mm; at 12-14mm, it's slightly less evident. Unfortunately, for some reason our testing software can't process our test images from the GH1 to assess corner shading. Looking at the sample images, there does appear to be some slight corner shading, but nothing dramatic. The Panasonic 7-14mm produced some raised eyebrows for us when we looked at the distortion chart. Distortion is extremely well-controlled in this lens, with practically no distortion between 8-12mm, very slight barrel distortion at 7mm and very slight pincushion distortion at 14mm. The 7-14mm focused very quickly our GH1 test body, slewing through its infinity-close-focus-infinity range in under one second. There was virtually no focus noise. The Panasonic 7-14mm doesn't make a good macro lens, with just 0.15x magnification. However it does have a good minimum close-focusing distance, at just 25cm (10 inches). The Panasonic 7-14mm is small and light, weighing in at just 300 grams (just over 10oz), due to its plastic construction. The finish is a matte black and grey texture, with a larger zoom ring, mounted closer to the camera, and a smaller focus ring. 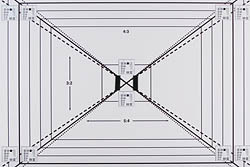 There are no switches or controls on the lens, and Panasonic has also decided to produce the lens without a distance scale. Accordingly there is also no depth-of-field scale or infrared index. The zoom ring is 1/2''-wide, composed of a dense rubber. The texture is of raised ribs running parallel to the body of the lens. The ring turns smoothly with a hint of firmness, and requires only a 30-degree twist to run through the focal range of the lens. The focus ring is 1/4''-wide, composed of the same material and design as the zoom ring. The GH1 uses a fly-by-wire focus design, and combined with the lack of a distance scale, we can't assess how much turning is required to go from infinity to close-focus. Going into manual focus mode is very good, however; the LCD screen automatically produces a magnified field of view, making it very easy to get a perfect focus. The integrated, petal-shaped lens hood precludes the use of thread-mounted filters. The interior of the lens hood is ribbed to help reduce any stray light from entering the lens. There is some front element extension as the lens is focused and zoomed, but nothing that protrudes the element beyond the lens hood. At present, this is the only lens available in the four-thirds mount that can offer the equivalent focal range. The lens can be used on the G1/GH1 camera with an adapter, but is more than twice as heavy. Similarly to the Panasonic lens, the integrated lens hood precludes the use of filters. We haven't yet tested this lens. If you don't need the extreme wide angle capability, the 9-18mm is a much less expensive lens that also provides wide angle capability in the standard four-thirds mount. With the micro four-thirds adapter this lens could be used on the G1/GH1. We have not yet tested this lens. The Sigma 10-20mm is available in the four-thirds mount, and with the micro four-thirds adapter could be fitted to the G1/GH1. The lens is much less expensive, but with the four-thirds sensor would actually provide an equivalent focal length of 20-40mm. 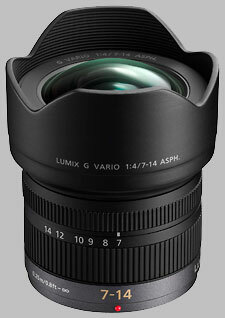 The Panasonic 7-14mm would appear to be optically superior. The Panasonic 7-14mm tested very well, offering images that were very sharp all the way to ƒ/11, and provided extremely impressive distortion correction with minimal light falloff. There's more chromatic aberration than we'd like, but even this can be corrected in image post-processing software. Unfortunately, at the time of writing (May 18, 2009) we don't yet have pricing information on the Panasonic 7-14mm, but history suggests that the lens will be relatively expensive. However, for the money you'll get a lens which performs very well. This is one of my workhorses for m4/3. I bought mine 2nd hand and it was like new. Now that I have a year on this lens, I can say that it is one of my favorites. I have the Nikon 14-24 2.8 and the only advantage over the Panasonic 7-14 is that it is one stop faster. However, with that extra stop and having to cover a 35mm frame means that it is large, heavy and subject to lots of lens flare, even when the source is out of the frame. The 7-14 flares less and on my Panasonic GX7 bodies is just right. Flare is well controlled, it's sharp and it is just the right size and weight. On a GX7 body combined with this lens, It is smaller than my 14-24mm and weighs less! When I traveled to Serbia this year, this lens was an ace in the hole for some of the photos I needed to crate in a tight space. Combined with the GX7, the size was just right. I had to photograph in a tight space and the full-frame camera with my normal workhorse lens, a 17-35mm was not quite wide enough. The 7-14 saved me for these photos. Later in my trip, I simply left the full-frame behind and shot with the 7-14 and a 14-140mm on the GX7. This lens looks too small to be professional, but everywhere I used it, I was able to shoot without drawing attention to myself and size was one of my stealth measures. Even in low light, shooting hand-held with this small lens was easy, much more than with my other system. For both street shooting and tight spaces, one could not go wrong with this lens. The only drawback I can say is that at f/4 it's a little slow, but then the lens would be larger, heavier, cost more and probably have flare issues. I've also used this lens for landscape work. It's liberating not to have to deal with the size and weight of a full-frame camera and lens yet still get very good image quality. Overall, this lens is a good balance when one needs an ultra wide angle lens that isn't a fisheye. It is compact but relatively front heavy for smaller M4/3 cameras, it is decently sharp wide open, and corner to corner sharpness at 7mm f5.6. Build quality is excellent with nicely damped zoom ring (although I only use 7mm range). 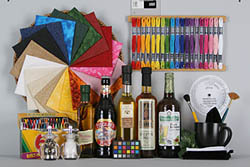 Sharpness level is comparable to Nikon 14-24 f2.8, which is the best UWA in FF system. I wouldn't go travel without it, the 7mm does give breath taking dramatic POV if used properly. The only down side is not the price (good lens costs a lot as we all know), but the SERIOUS purple blob issue when mated with my E-M5, E-PL5, GH3, which they are all use the same sony sensor, which can totally ruin the image when it happens, but for the rest of the time, the IQ is breath taking good, tack sharp corner to corner at 7mm. Although I wish for a filter mount for day time long exposure. The Panasonic 7-14 is a lens where superlatives fall short. Sharp, Small, Constant Aperture, Internal Focus and Zoom. The Best 4/3rds Lens. This is the lens that made m4/3rds a necessity. On a video or CSC camera it does not breath when focusing. Constant aperture is a bonus. Very well made and small for what it does. And did I say sharp. I should. This is a lens that would be great on any camera system if it would fit. I used this on my GH1 and carry it with me on long trip to middle East - Levant area Syria, Jordan and Lebanon. The lens proved to be an excellent companion to all my outdoor landscape work and tight indoor shots in meusums, churches and mosques. With its lightweight body and almost no distortion at all (thanks to excellent GH1 in-camera correction), this was the only suitable lens for my travelling style. I used Tokina 11-16 f2.8 an excllent lens on D90 but very heavy comparatively and with less flexible focal range. Can't recommend it more, a must have for any travelling photography enthusiast. otherwise extra price on panny 7-14mm is worth every penny. and with the fantastic G2 its a dream lens in every holiday! Canon, Nikon, Sony, Pentax, Sigma, Tamron have bad dreams on this lens and nothing to compete with. On an M4/3 camera this produces 14-28mm 35mm-equivalent. This is a slightly wider coverage than a Sigma 10-20 f:4-5.6 DC lens, with up to 1 EV faster maximum aperture, lighter and more compact, and only slightly softer corners (noticeable only at 200% magnification). Perfect complement to the 14-45 and 45-200 lenses; those three lenses give you a fantastic focal coverage at a fraction of the bulk and weight of comparable DSLR lenses. Now if only Panasonic would come out with a fisheye lens in this format ... and maybe an f:2.8 constant-aperture tele zoom, say 50-150, and I'd seriously consider giving up my DSLR kit entirely. Bought this lenses 1 month ago, paired with Lumix GF1 and has created a lot of great images..
overall..i think this lens is a great performer! worth every yen i spent!.. it really fits with Micro four third spirit. Love this lens.. great partner with pancake 20mm f1.7! Great lens with great images!